The Ise-Shima region in Mie Prefecture is home to some of Japan’s most iconic spiritual sites, the Ise-Shima National Park, beautiful beaches, and boasts fabulous fresh seafood cuisine. 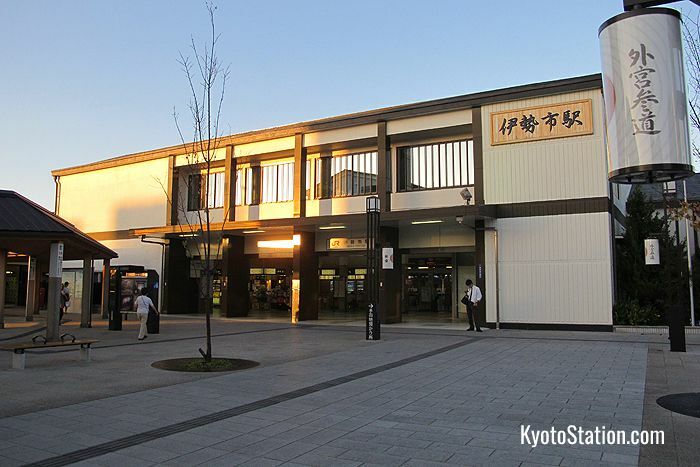 A short trip away from Kyoto on Kintetsu Railways it makes for the perfect getaway. There are two locations in the region that are particularly popular with tourists and these are the cities of Ise and Toba. There are three major Kintetsu stations serving Ise city which are Iseshi Station, Ujiyamada Station, and Isuzugawa Station. It is a good idea to choose the station which is closest to your hotel. Toba is served by Toba Station but you will need to use the local bus network to visit many of the major sites in both of these cities. For this reason a one-day or two-day discount bus pass is recommended. Ise Jingu or Ise Grand Shrine is the most important shrine of the Japanese Shinto religion and a major center of pilgrimage. 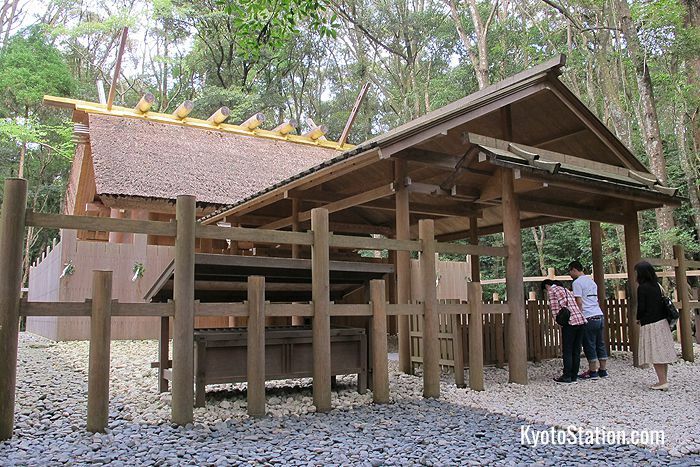 Dedicated to the sun goddess, Amaterasu, the shrine’s history is said to date back 2,000 years. However, in a continual ritual of renewal the shrine’s wooden buildings are dismantled every 20 years and rebuilt with fresh timber according to ancient architectural rules. Though referred to collectively as Ise Jingu, there are actually two main shrine complexes which are in two separate locations in Ise: the Outer Shrine or Geku and the Inner Shrine or Naiku. Confusingly the Outer Shrine is actually closer to the city center and the Inner Shrine is on the city outskirts. Both locations can be reached very easily by bus from any of Ise’s main stations. 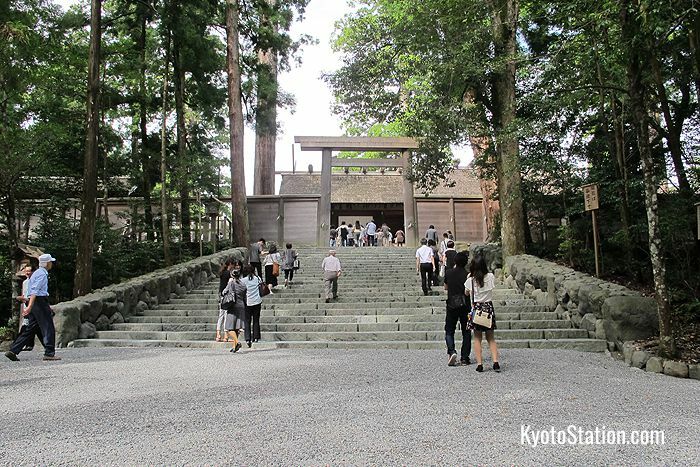 Both the Geku and Naiku shrine complexes are set in large, ancient, tranquil forests and are free to enter during daylight hours. The Geku is a 7 minute walk from Iseshi Station or a 10 minute walk from Ujiyamada station. 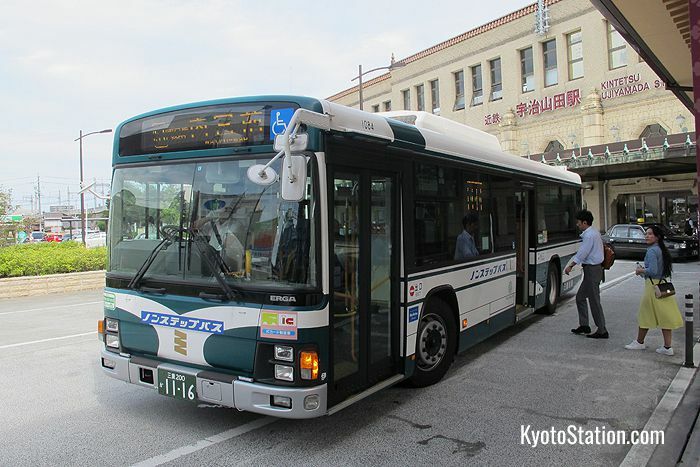 The Naiku is an 8 minute bus ride from Isuzugawa Station and the bus fare is 230 yen. 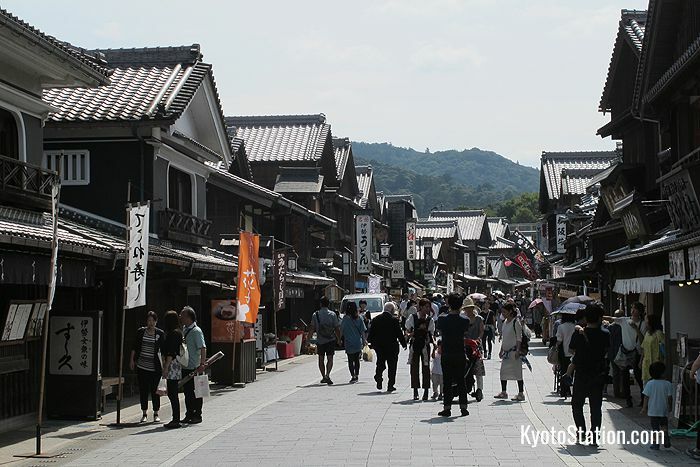 Close to the Naiku of Ise Jingu, Okage Yokocho is a complex of historical buildings dating from the Edo and Meiji eras. Here you can find many galleries, craft shops, souvenir stores, and restaurants serving the very best local cuisine, regional craft beers, and local sake. 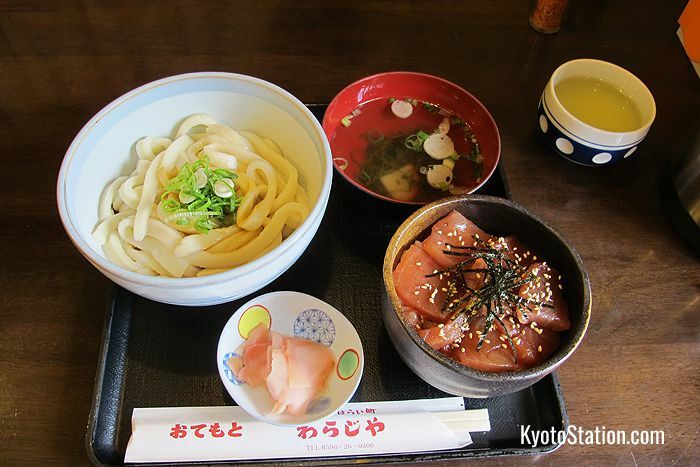 Probably the most famous local dish is Ise udon: thick noodles with chopped green onions and served with a rich soy-based black sauce. Tekone-zushi is a regional variety of sushi: maguro tuna marinated in soy sauce and served on vinegared rice. 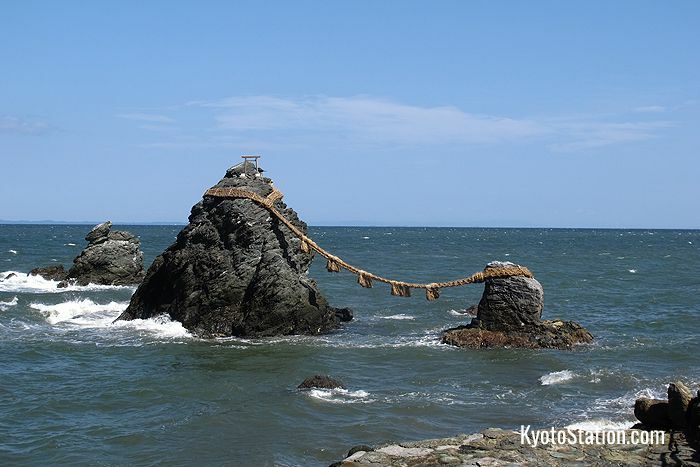 Another major sacred site in this region is that of the Meoto Iwa or “Married Couple Rocks”. These two rocks in the sea off the coast of Futami represent the male and female gods who created Japan. To symbolize their marriage they are bound together with a sacred rope, and there is a shrine on the shore before them where couples come to pray for a strong relationship. To get there take a bus from Toba Bus Center (just outside Toba Station) to the Meoto Iwa Higashiguchi bus stop. The bus takes 12 minutes and costs 400 yen. A variety of colorful cruise boats offer tours of scenic Toba bay which is dotted with green islands. 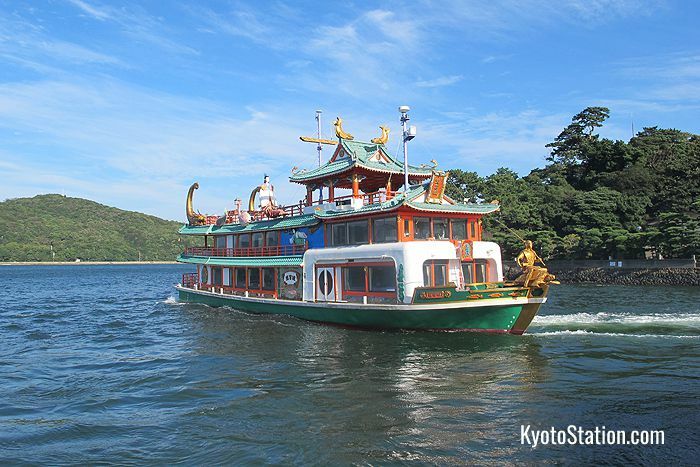 Regular excursions stop at Dolphin Island and Mikimoto Pearl Island. Toba Marine Terminal is a 5 minute walk from Toba Station. You can download an English PDF with details of the Toba Bay Cruise. 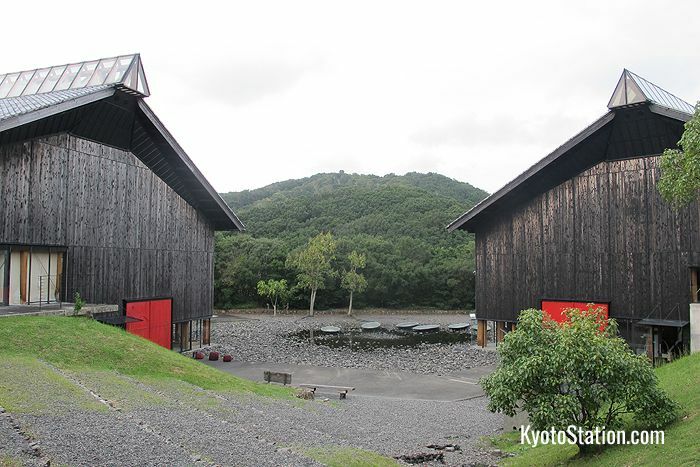 Mikimoto Pearl Island is the birthplace of Japan’s cultured pearl industry. There is a museum here and you can see demonstrations by the famous ama female pearl divers who dive without air tanks or scuba equipment. 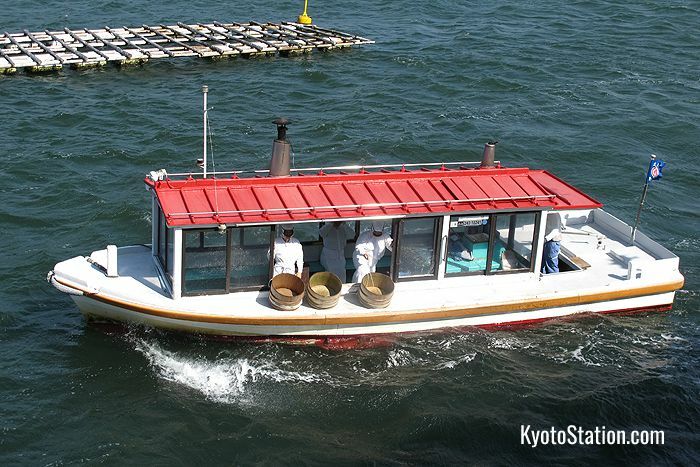 Mikimoto Pearl Island is a 7 minute walk from Toba Station. The Toba Sea-Folk Museum is a large museum with exhibits related to the history, culture, and traditions of the region’s coastal people. It houses displays related to the fishing and diving traditions of Toba, local sea festivals, and the environment. 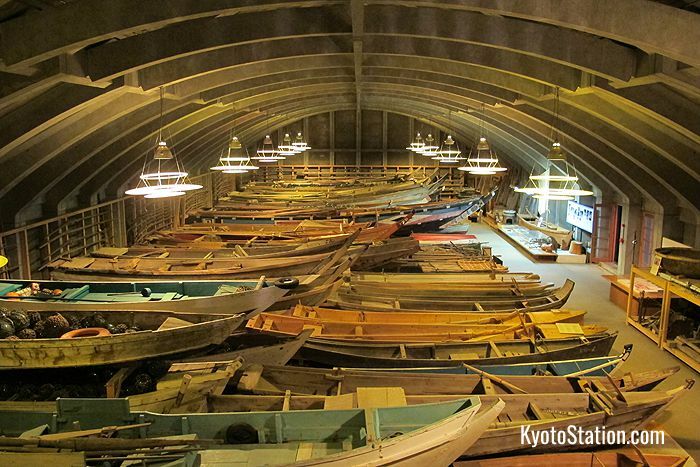 There is also a dramatic display of 100 antique wooden fishing boats from all over Japan. To get there take a bus from Toba Bus Center to the Uminohakubutsukan bus stop. The bus takes 35 minutes and costs 500 yen. 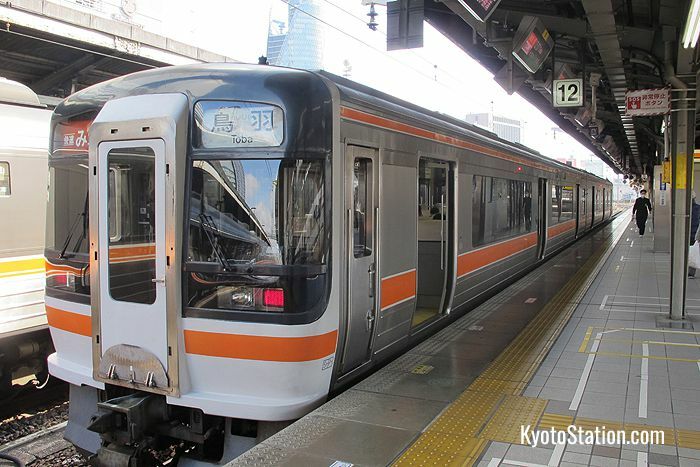 A variety of limited express services run between Kintetsu Kyoto Station and stations in Ise and Toba. To get there directly take any limited express service bound for Kashikojima . The full fare to Iseshi Station is 3,620 yen and it takes around two hours to get to there. To Toba Station the full fare is 3,890 yen and it takes around two hours and 15 minutes. You can reserve seats for limited express trains immediately before travel, but during peak travel periods it is a good idea to buy your tickets in advance. Use the official Kintetsu Railway English language Route and Fare Finder to find the best train for your journey. 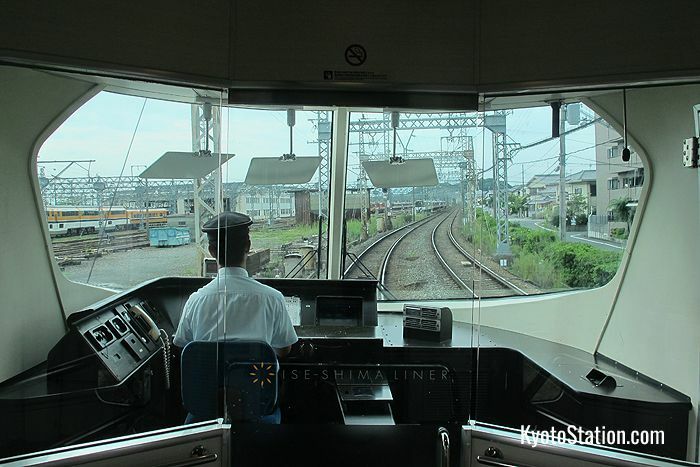 The Shimakaze Premium Express is a luxury sightseeing train that runs the same route as other limited express services between Kyoto and destinations in the Ise-Shima region. This train has deluxe seating, extra large windows, observation cars, private rooms with video services, a café car, and a full menu of drinks and meals. The full fare for this train is 4,650 yen to Iseshi Station and 4,920 yen to Toba Station and it takes the same time as other limited express services. Kintetsu Railways are a private rail company, so they are not covered by the Japan Rail Pass. 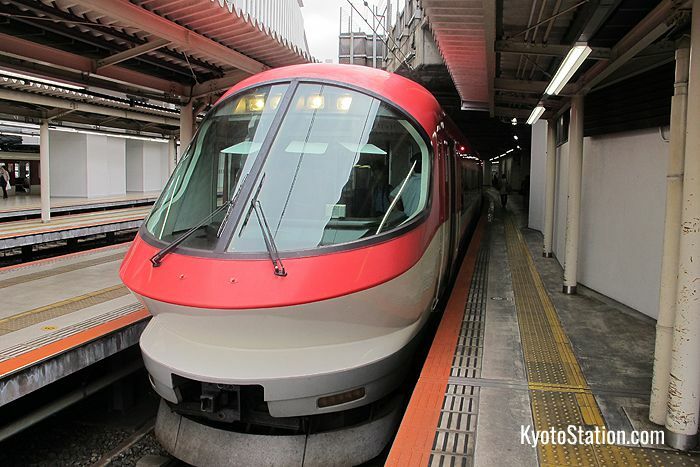 However, Kintetsu Railways have two discount tickets aimed at overseas visitors that cover the Kyoto and Ise-Shima areas as well as other major cities in the Kansai area such as Nagoya, Osaka, and Nara. These are the Kintetsu Rail Pass which costs 3,800 yen for adults and 1,900 yen for children, and the Kintetsu Rail Pass Plus which costs 4,800 yen for adults and 2,400 yen for children. Both of these five day tickets offer unlimited rail travel on Kintetsu railways, and the Kintetsu Rail Pass Plus also includes bus services in Ise and Toba. However, you will still have to pay extra to reserve seats on a limited express train. For more information on these passes, download the official PDF guide. On board the Limited Express Ise-Shima Liner bound for Ise! Another option is the Ise Jingu Sanpai Kippu (or Ise Shrine Pilgrimage Ticket). From Kyoto this ticket costs 6,600 yen for adults and 3,300 yen for children. This ticket gives 3 days unlimited travel on Kintetsu Railways, and Mie Kotsu bus services in the Ise area, and includes exchange coupons for limited express trains to and from Kyoto. However, this ticket does not include buses in the Toba area and you will still have to pay extra if you want to use the luxury Shimkaze Premium Express. Online details about this ticket are only available in Japanese. 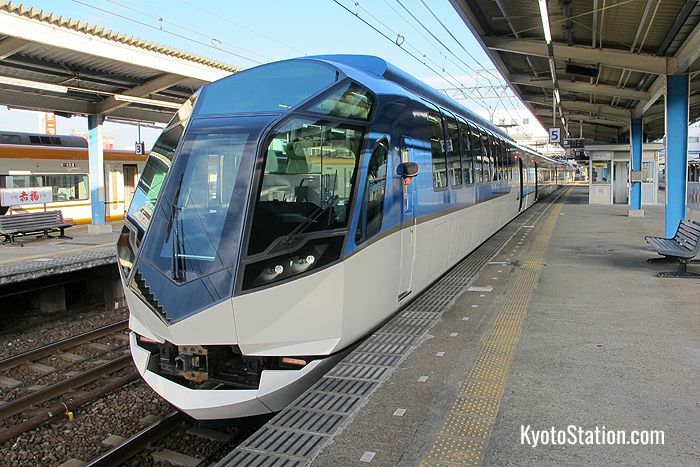 If you wish to make use of the Japan Rail Pass to travel between Kyoto and the Ise-Shima region your best option is to take a shinkansen to Nagoya Station and then transfer to the Rapid Mie service for Iseshi and Toba Stations. You should remember though, that the Nozomi shinkansen service is not covered by the Japan Rail Pass. 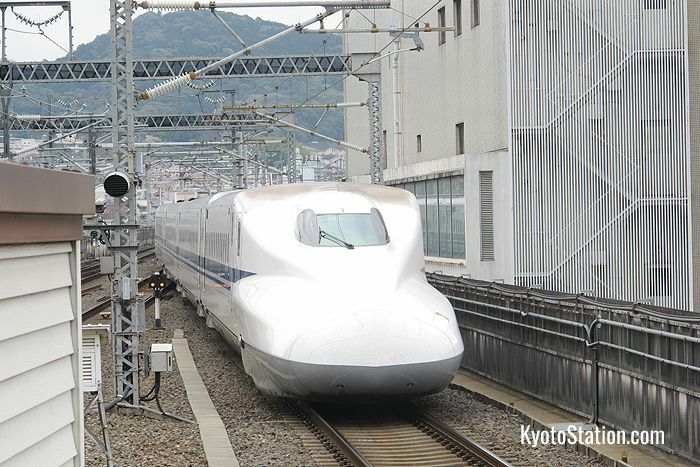 You can take a Hikari shinkansen instead which will get you to Nagoya in 36 to 53 minutes. You should also know that the Rapid Mie is not completely free for Japan Rail Pass holders because for part of its journey it runs along the private Ise Line. If you have a Japan Rail Pass you will still have to pay a small surcharge of 510 yen to Ise Railway. The Rapid Mie from Nagoya will get you to Iseshi Station in 1 hour and 38 minutes and to Toba Station in 2 hours and 1 minute. For further details, please see our articles on the Tokaido Shinkansen and the Rapid Mie.